There have been several occasions over the decades when activists in the 'Deep North' found themselves locked up in Boggo Road for real freedom-of-speech issues. 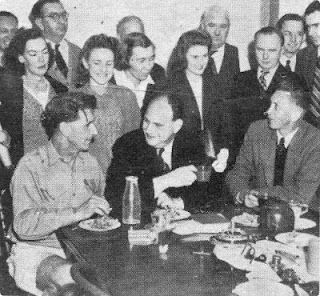 One of these people was Gilbert Burns, who in the 1940s was an executive member of the Communist Party of Australia (CPA). A former coal miner from Sunderland, England, he had set up the radical 'Anvil Bookshop' on Elizabeth Street in Brisbane in the 1930s and then stood for state parliament as a CPA candidate in Bremer. Anti-communism was rife within official circles and the authorities were content to use the law or plain brute force to suppress it. Burns and his fellow communist Fred Paterson were under constant surveillance by the Commonwealth Security Service, and in March 1948 Paterson, by now a state MP for the CPA, was knocked unconscious by a policeman when he intervened to stop the officer assaulting a civilian during a strike march. Paterson had to suspend political activity for several months as a result of the severe head injuries he had sustained. An inquiry found that ‘no wrongdoing had occurred’ and no police officer was ever charged. Paterson had been attending a march of striking railway workers. 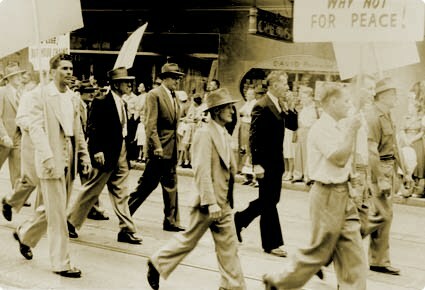 Officials Ted Englart, Max Julius and Mick Healey served 15 days in Boggo Road in 1948 for their failure to pay fines incurred under anti-picketing laws during that strike. 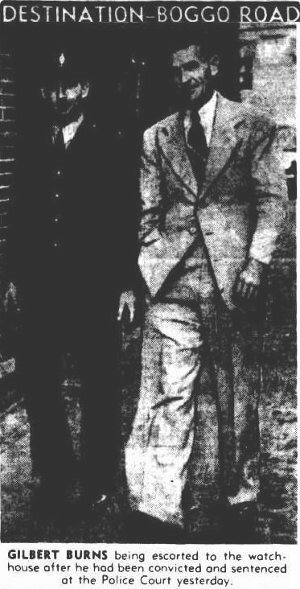 Ted Englart (seated left), Max Julius and Mick Healy on the morning of their release from Boggo Road. This set-up by the QPP to trap Burns into publicly stating his loyalty to the Soviet Union led to him being prosecuted under the federal Crimes Act 1914 on a charge of uttering seditious words. Prompted by the 1917 Bolshevik revolution and (to a lesser extent) the Irish Easter rebellion of 1916, the Commonwealth Parliament had amended the Crimes Act in 1920 by criminalising seditious speech and conduct. Burns was convicted of uttering seditious words and initially sentenced to six months imprisonment in Boggo Road. He spent one night there before being released on bail pending his High Court appeal, arguing that his answer to a hypothetical could not establish the seditious intent required under law. The Chifley government, facing a deteriorating Cold War situation, disregarded unanimous legal advice that Burns had committed no offence and instead instructed the Crown solicitor to prosecute Burns and lay as many charges as possible. Burns’ appeal was eventually rejected by the High Court in October 1949 and the 46-year-old was taken from his Morningside home to Boggo Road to serve out his original sentence. 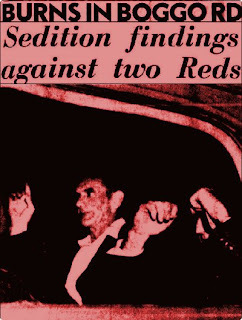 The court had also confirmed the conviction of Laurence Sharkey, the Communist Party’s General Secretary in Melbourne, who had made a similar statement in response to a query from a Daily Telegraph reporter. Sharkey received three years in prison, but only served 13 months. There would be numerous other occasions when political activists were locked in the Boggo Road cells, most famously during the ‘free speech’ protests of the 1980s. If it was China we would no doubt be calling them 'dissidents'. Those events will be covered here at a future date.